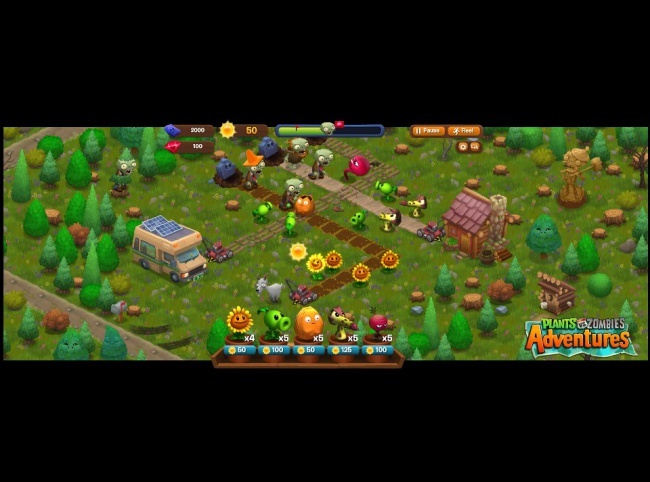 A social adaptation of Plants Vs Zombies adds new units and the ability to leave your backyard. I've never entirely understood the frustration over how many zombie titles are out there. Sure, as a fad, zombies should worn out their welcome about a half-decade ago. That said, we're still getting fun games and creative reimaginings of the concept, which makes their lingering presence infinitely more bearable. One of the most popular examples is Plants Vs Zombies, PopCap's tower defense game where adorable vegetation is all that stands in the way of brain-munching zombie hordes. PvZ has found its way to just about every games system under the sun, but happened to miss the social gaming market entirely. PopCap will correct that oversight with Plants Vs Zombies Adventures, a new Facebook game that sees players expanding their horizons beyond the backyard. Unlike other ports, Plants Vs Zombies Adventures isn't simply porting PvZ into Facebook with some new unit types. A lone Facebook screenshot presents a top-down 3D environment that looks like someone dropped zombies into Zynga's Farmville. PvZA will also include various social interactions, including the ability to direct zombie hordes towards your family and friends. The most interesting features however are "road-trips", in which the player leaves their backyard to fight the worldwide infestation using nothing but seeds and a chipper attitude. 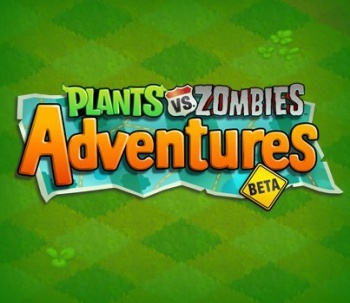 Plants Vs Zombies Adventures is about to enter closed beta, with limited invites offered to players who like the page on Facebook. While we can't really speak to the game's quality just yet, it is interesting that PopCap is attempting such a radical overhaul of original's comfortable formula. It also raises the question of what changes are planned for Plants Vs Zombies 2, which PopCap intends to launch this summer.